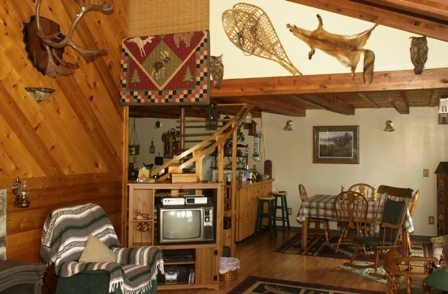 White Feather Lodge offers you some of the best moose hunting, black bear hunting and wing-shooting (ptarmigan/grouse) in the world!! We are located on Newfoundland island which has the highest moose (population) density in North America and possibly the largest strain of black bear on the globe. The hospitality, the scenery…. THE HUNT, is first class. 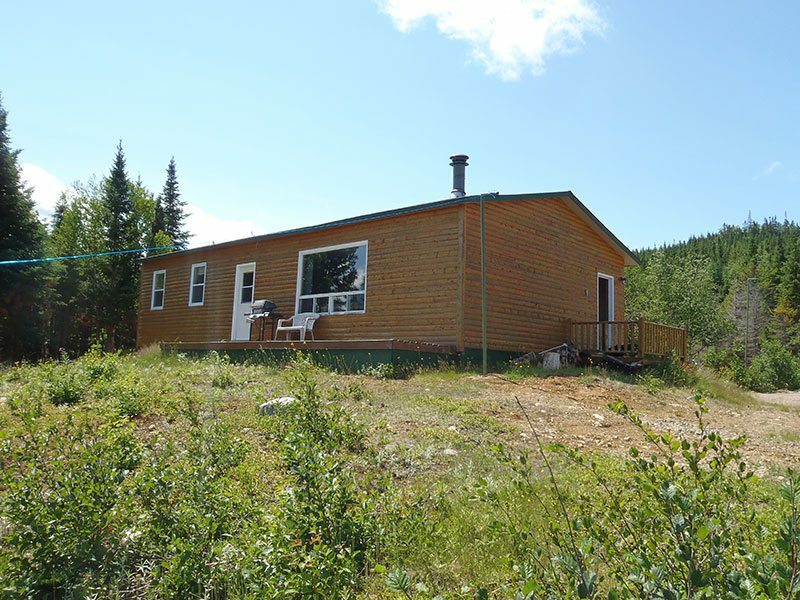 A comfortable 24 X 42 ft. lodge with (4) dual occupancy bedrooms, washroom and shower facilities, living /dining area with picture window offering spectacular view of the lake. Experience 5 days, 6 nights in a fishing paradise! 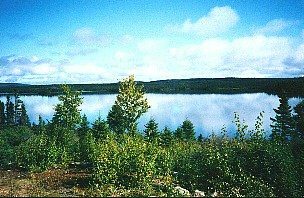 White Feather Lodge is surrounded by numerous lakes, connected by short streams.. and the waters are filled with Brook Trout and landlocked salmon! The daily limit is 12, with a possession limit of 25. Recommended tackle: spin casting or Fly.. whichever you prefer. We also offer trips to the Labrador by float plane to experience true World Class brook trout fishing. 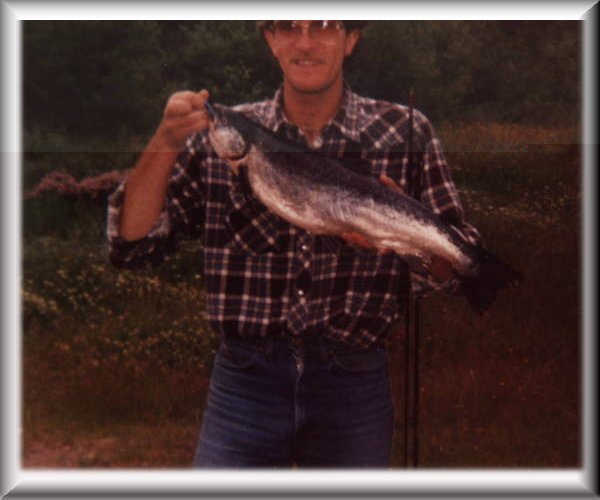 2-3 pound trout are common with the occasional lunker at 5 or 6 pounds! Let White Feather Lodge schedule you on a world class fishing trip of a lifetime. For the serious hunter desiring Big Bear, we’ve got them…and LOTS of them! Biologists believe that the genetic strain of our Black Bear may be the largest in North America. Wildlife officials recently captured and released a bear weighing 687 pounds! 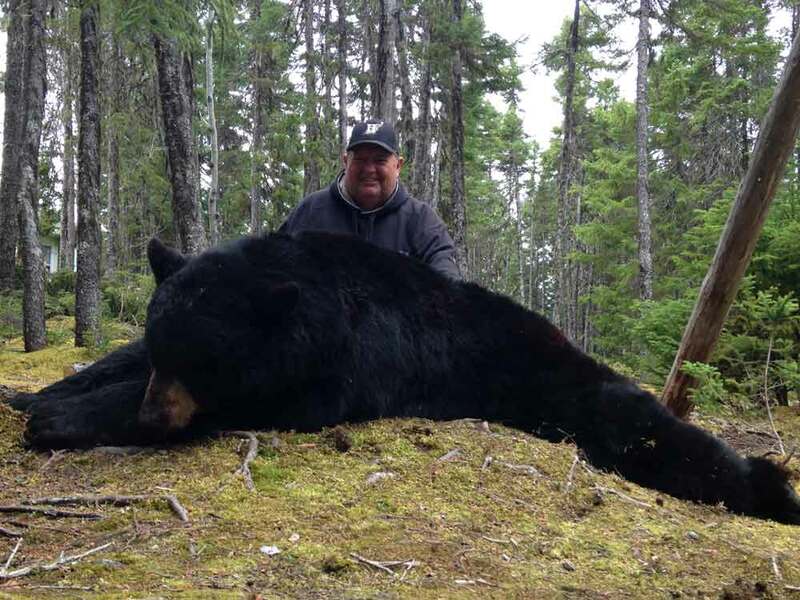 White Feather Lodge prides itself as absolute professionals in black bear hunting! As an outfitter specializing in non-resident Bear hunts, we have exclusive rights to hundreds of square miles of wilderness country! All of our hunts are fully guided and primarily conducted from tree stands over active bait sites. This photo is of one of our trophies taken in June 2001. This particular bear had a green skull score of 22 6/16 inches and a hide measuring 7 feet, 6 inches from nose to tail! We started the spring with 49 baits and had numerous sites with bears in excess of 400 lbs. We truly believe that our lodge may take the next World Record black bear! Our average bear weight is 200-250 lbs, with common trophy boars from 300 to 500 pounds. As part of your spring hunting package, we offer the trout fishing for FREE. We supply you with home cooked meals, accommodations, and ground transportation. We will also cape-out your animal, prepare it for shipping, and supply you with all the necessary export permits. 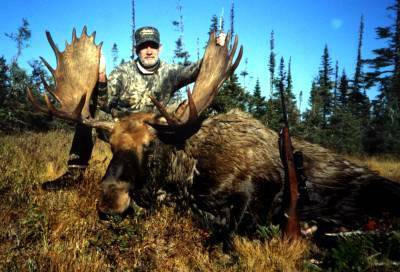 Come hunt the true “Monarch of the North” on an island that offers the most exciting and successful moose hunting on the continent! An Island with 120,000 moose! The highest density moose population in North America!! Our success rate for are often 100%! August 30 through September 12 is an exclusive bow hunting season. September 13 through October is open to either gun or bow. High density moose and low pressure hunting combine to yield opportunities that are second to none! The overall success rate for non resident hunters is far above any other region on the continent! 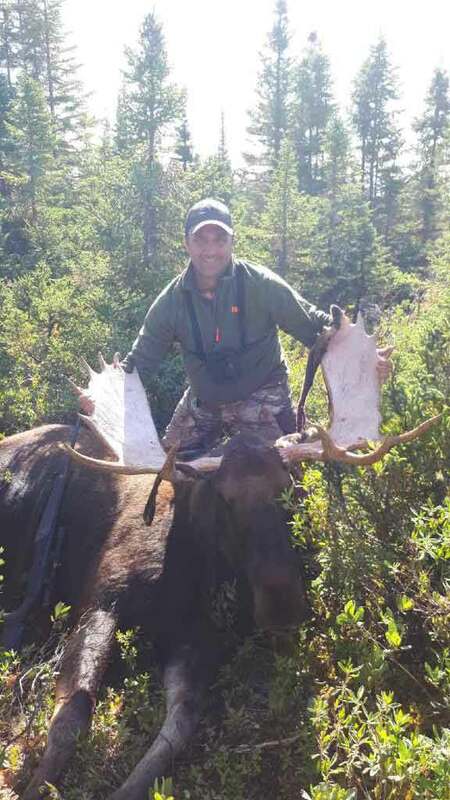 We had one group of 4 bow hunters who experienced over 120 moose sightings in 1 week! 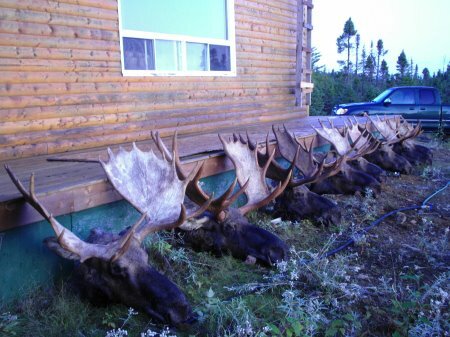 White Feather Lodge offers you some of the best caribou hunting, black bear hunting and moose hunting in the world!! We hunt areas with some of the highest moose (population) density and possibly the largest strain of black bear on the globe! Fully guided hunts and expert services. 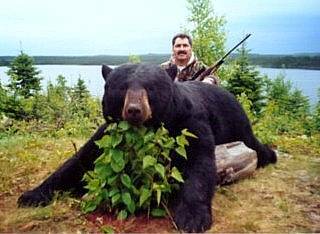 Our aim is for you to harvest the next World Record Black Bear! Experience the only place in the world where you can hunt for Woodland Caribou! Experience tremendous opportunities for either bow, rifle or black powder hunting! 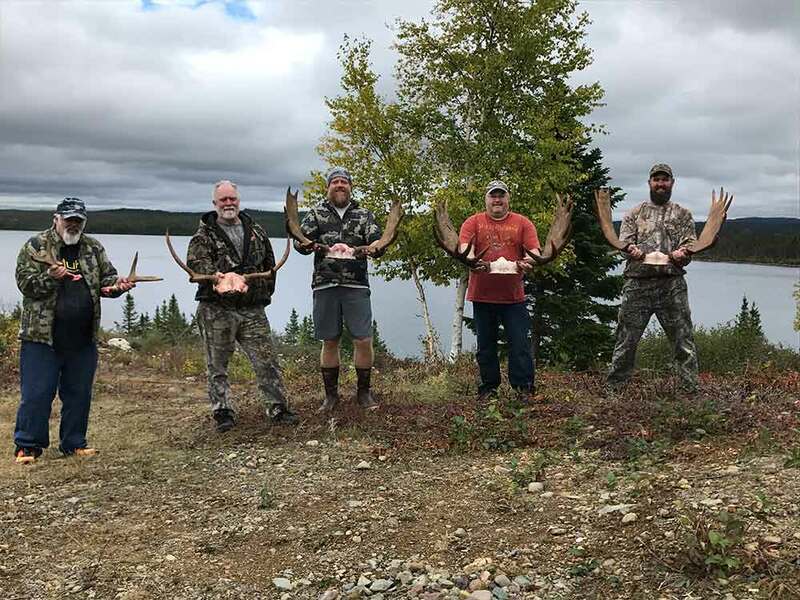 These majestic animals with their dominant, thick, white manes and their palmated, filled-in antler displays are a truly unique in their species. Newfoundland has many caribou making the book each year. One of our guests registered the #8 all time Pope and Young world record!! 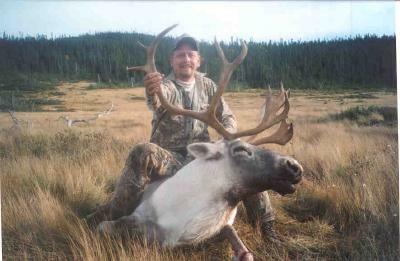 We have an exclusive bow hunting season for Woodland Caribou as well as great opportunities for archery well into the gun season!! True bow – range opportunities average over 100%. Rifle and black-powder hunting for these beautiful animals can also be an unforgettable experience! Unlike their Barron Ground cousins, these animals are residential in nature and do not migrate which means we will never ‘miss the migration’. Experience the trip of a lifetime! Hunt the Woodland Caribou, exclusive to the island of Newfoundland! There are no trophy fees or other hidden costs. COYOTE hunting and TROUT fishing are FREE with your spring hunt!